You are here: Home / Blog/News / About Tiny Houses / What kinds of toilets are used in tiny houses? 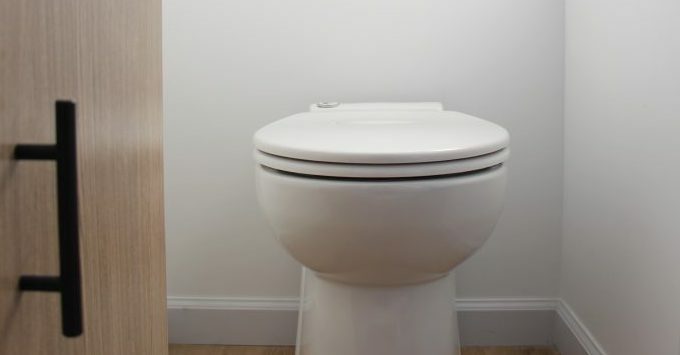 What kinds of toilets are used in tiny houses? 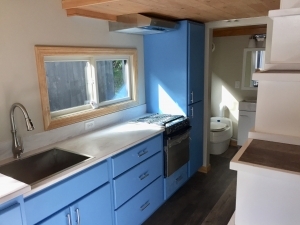 B&B Micro Manufacturing’s tiny houses have multiple options for their toilets. 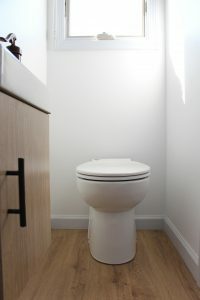 Depending on whether you’ll be traveling with your tiny house and where your tiny house will be located, we’ll help you decide on the best option for your tiny house toilet. All of our tiny houses have RV hookups, so waste can be pumped out by a truck or go directly into a sewer or septic system. If you’ll be travelling with your tiny house and won’t always be hooked up to a sewer or septic, we can put in a blackwater (wastewater) tank to hold on to the waste until the tank can be drained. Dry Flush or Casette Toilet Laveo Power Only Power & Regular Trash Pickup Like a Diaper Genie, it packages the waste with each “flush” to be thrown out in the trash. Composting Toilet Separett Power for Fan Power & Humanure Compost System on your property Remove the waste from the toilet and deposit into a compost system on your property. Incinerating Toilet Incinolet Power Only Uses a lot of power- not recommended for Solar Uses power to burn waste. Remove ash once a month and dump outside or throw away. Read on for videos of how each toilet system works, explained in detail by people with delightful accents. These are the type of toilets you see in pretty much every traditional, permanently-affixed house. If you’re not planning to move your tiny house once it’s in place, and you’ll be tying your tiny house directly into a sewer or septic system, this is your best bet. What is a Macerating Toilet and How Does It Work? The first option is a “macerating toilet”, which breaks up waste and toilet paper into a fine slurry that is then stored in a black water tank and finally expelled into the sewer or septic tank. The flush mechanism is powered by electricity. The user experience is the most similar to a regular flush toilet: press the button, water comes into the chamber and flushes the waste away. Our Stony Ledge Tiny House, for sale now, has a macerating toilet. View a flushing demonstration at 4:54. 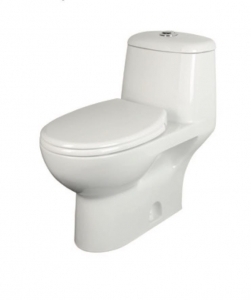 What is a Dry-Flush Toilet and How Does It Work? Another toilet option is the Dry-Flush Toilet. 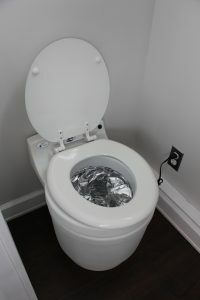 The bowl is lined with foil which, when “flushed”, wraps around the waste in a sealed packet, similar to a diaper genie. The packaged waste can then be thrown out in any trash can just like diapers. The flushing mechanism is powered by electricity. Our Brodie Mobile Office, for sale now, has a dry-flush toilet because the office is designed to move around without always needing to be hooked up to a septic or sewer system. How does a Compost Toilet Work? 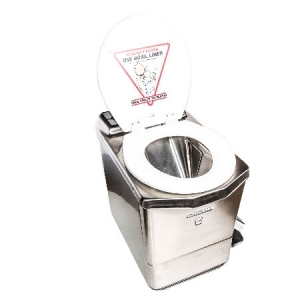 For those who are prepared to have Humanure human waste composting system on their property (check in with your town hall to make sure this is allowed), we offer composting toilets, and for the truly primitive campers, we can build in a toilet seat only, to use for the Bucket System. How Do Incinerating Toilets Work? Incinerating toilets are great for off-grid tiny houses with power but no access to sewer or septic, whose owners aren’t ready to start a Humanure compost system. It incinerates the waste and turns it into ash, which can then be thrown away. https://bbtinyhouses.com/wp-content/uploads/2018/03/Crimson-Square-Internet-Logo-9.png 500 500 Katie Jackson /wp-content/themes/bb-micro/images/badgelogo.png Katie Jackson2018-03-30 11:36:492019-01-15 15:04:58What kinds of toilets are used in tiny houses? Buying a Turnkey Tiny House Versus Building Your Own Tiny Houses with First-Floor Bedrooms (No Sleeping In Lofts)!